What are borders? For me, borders meant personal struggles, such as suffering from epilepsy, confronting my shyness, and recovering from knee surgery (just to name a few). Even though my struggles had me bound to a challenging lifestyle, I found freedom through cycling. Without a bicycle, I would have been confined to my "borders". I believe a bicycle is the tool for helping individuals with their own personal struggles overcome these borders and discover their personal strengths. Since the beginning of my cycling career, I have become a sponsored elite cyclist and a youth cycling coach. Cycling has developed into a passion I wish to bring to cyclists who do not have the means, nor resources, to live their dreams and achieve their cycling goals. I hope they too can overcome their borders. Many are unaware of the sponsorships and funding to help them take cycling into an empowering realm. Therefore, Biking Beyond Borders was created to give underprivileged individuals the guidance, products, and support necessary for their advancement in the cycling world.  To build and support an international team of underprivileged cycling athletes and enthusiasts, overcoming their personal "borders." They will be supported by one organization through industry fundraising and partnerships, introduced to partnered industry professionals and companies providing them the marketing, visibility and notoriety they deserve; thus opening opportunities to enhance their cycling careers and fulfill their dreams and aspirations, despite their limiting situations.